Golden Noodle Organic Baby Noodle are made from organic unbleached wheat flour. No bleaching agent, additives, colouring or preservatives are used. Best kept in cool dry place or if not used for months it is best refrigerated. Only the fresh ingredients are used. The texture and taste of the noodles are soft and delicious. Baby Noodles are a great for baby moving into complementary feeding stage. It is a great chance for infants to explore the new texture to chew a new food. 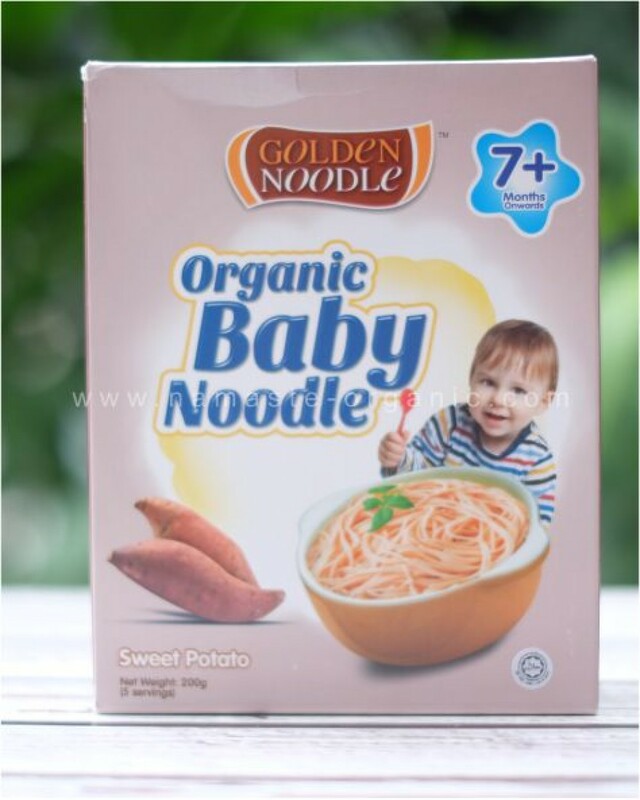 Baby noodles' soft texture is ideal for infants, it is one of the good selections to provide them with a source of carbohydrate and protein: essential for energy, growth and development.